Romblon Fun Divers is an authorised PADI TecRec Center in Romblon and can therefore offer all open circuit courses such as Tec 40, Tec 45 and Tec 50 . 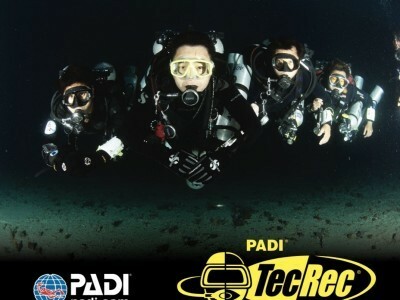 PADI TecRec courses provide the techniques and procedures necessary for diving beyond recreational dive limits. These are some of the most intensive, yet exhilarating, courses you’ll find.